WINTERVILLE, North Carolina -- An elderly couple's house caught fire after authorities said one of the residents tried to heat up frozen pies. 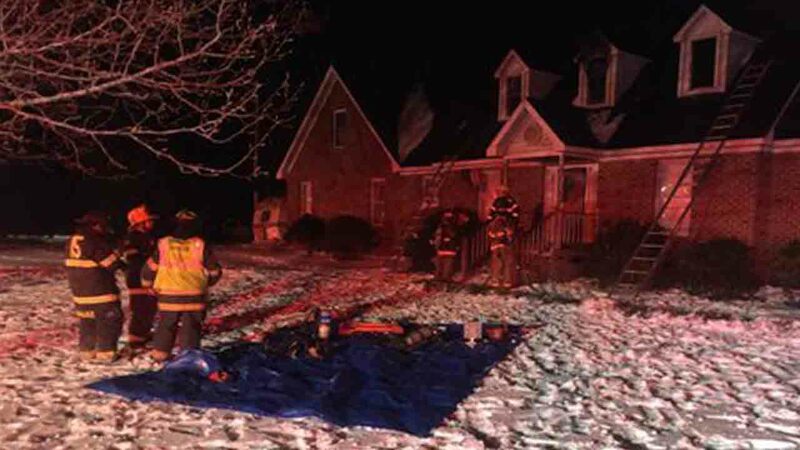 According to Eastern Pines Fire Chief Gary Arnold, a man living in the home tried to warm up the pipes and then he and his wife left. When they returned to their home, in the 1800 block of Worthington Road Saturday evening, it was on fire. "When we got here, we had flames about 15 feet in the air," Arnold told WCTI. "About 10 to 15 minutes later, we had it knocked down." Crews said first responders had a hard time getting to the scene because of the icy streets. "Big thing was trying to get here because of road conditions," said Arnold. Winterville Fire Department, Winterville Community Fire Department, Ayden Fire Department, and Eastern Pines Fire Department all responded.